OnePlus 3 Camera Interface. Manual controls and RAW image capture! As you can see trhe slow motion spec has remained constant in all of the OnePlus smartphone releases. 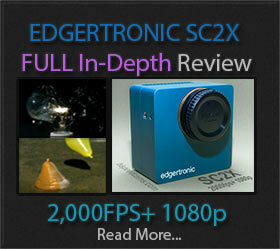 The spec has been unchanged from 120fps at 720p HD since they first went to market. As to why that is, it is not clear but it is safe to assume that slow motion frame rates are not a priority for the team as a spec. A phone of this caliber should be able to deliver 120fps in Full HD 1080p and or 240fps 720p HD video without breaking a sweat. Lesser speced phones offer this and more since two years back which have much smaller and slower memory footprint. Considering the 6GB are LPDDR4 which is plenty fast, the phone either has a software limitation or a sensor one. IMX298 is a diagonal 6.521 mm (Type 1/2.8) 16 Mega-pixel CMOS active pixel type stacked image sensor with a square pixel array. It adopts Exmor RS™ technology to achieve high speed image capturing by column parallel A/D converter circuits and high sensitivity and low noise image (comparing with conventional CMOS image sensor) through the backside illuminated imaging pixel structure. R, G, and B pigment primary color mosaic filter is employed. 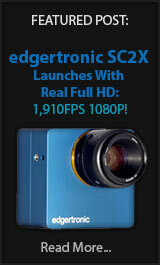 By introducing spatially multiplexed exposure technology, high dynamic range still pictures and movies are achievable. It equips an electronic shutter with variable integration time. It operates with three power supply voltages: analog 2.5 V, digital 1.1 V and 1.8 V for input/output interface and achieves low power consumption. In addition, this product is designed for use in cellular phone and tablet pc.” Product Specs PDF Here! So in the end we may have a sensor limitation here. By choosing the IMX 298 sensor, OnePlus has capped frame rates for slow motion at 720p HD 120fps or 60p 1080 Full HD. It is a good sensor with 4k 30p support, phase detection pixels and HDR capture capacity but the sensor is not built for higher frame rates. Therefore the OnePlus 3 is not a slow motion crown contender even when the camera specs are extremely high end with ample pixel wells, responsiveness, lens and good software with RAW capability. All in all a very good flagship Android Marshmallow capable phone for a very accommodating price point with no contracts or hassle. If you don’t mid lack of water resistance or higher slow motion frame rates, this could be the phone for you. Full information and ordering for the phone at OnePlus website here. MSRP $399 No contract and fully unlocked with dual SIM cards. Previous PostEdgertronic Updates Software to v2.1.7!Next PostSlow Motion Summer 2016!